Lacrosse Pinnies with side panel accent. Lax Pinnies with side panel. Reversible Mesh Lacrosse Penny/Pennies. Lacrosse Practice Apparel. Mens/Youth Lacrosse Practice Apparel. 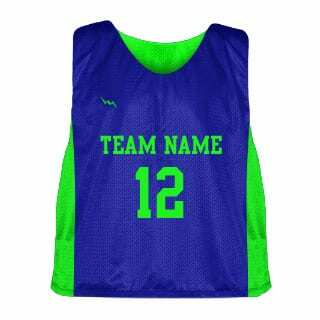 Made of 100% Lit Fit Polyester Lit Fit Tricot Eyelet Mesh, Tank Top, Sleeveless, Reversible Jersey. Available in Sizes Size Youth and Adult S-XXXL. Great Pinnies!! Our team LOVED them.